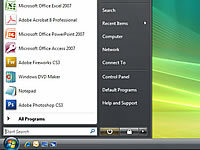 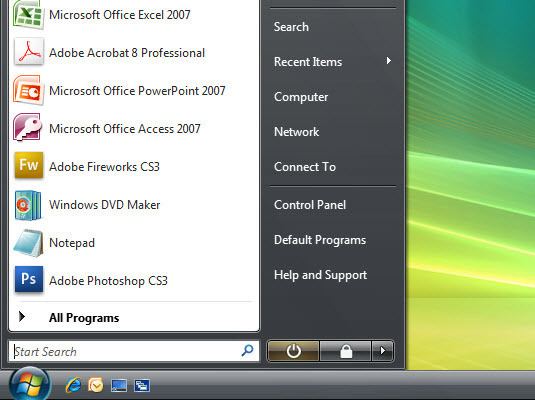 2Click the triangle icon in the lower right of the Start menu. The Shutdown menu appears to the right of that icon. 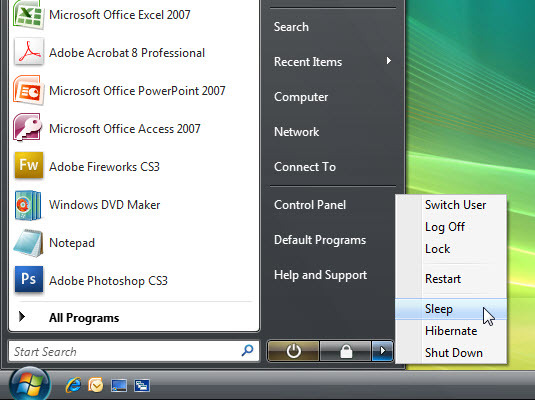 3Choose the Sleep command from the Shutdown menu. 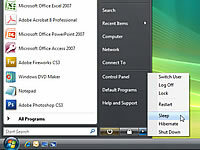 Windows tells your PC to take a nap; it shuts off the lights and the screen goes blank.